All prices are in EURO per person and were confirmed in December 2007 by phone or Internet. The information below is just an indication. We're not responsible for price increases. The text in yellow are remarks from the organisation. Eindhoven also has an airport. Go to the web pages of Airport EINDHOVEN to see the options. Consult your local booking office for travel options. For trains go to the Dutch Railroads (NS) website. The airport of Amsterdam is called SCHIPHOL. So type that instead of AMSTERDAM. 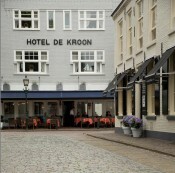 Good hotel with spacious rooms,Located within 5 minutes distance from the venue. Good hotel. Located within 5 minutes distance from the venue. Very good hotel. Located within 3 minutes distance from the venue. Good hotel with lots of extras for a cheap price. 10 minutes to the venue by car, 15 minutes by public transport, or 25 minutes walking. Around 69 - 159 Euro. This modern hotel offers 199 well-appointed rooms, restaurant, bar, and meeting rooms. A swimming pool, sauna and steamroom are free to guests. Good hotel but it's a bit unpersonal. 102 Euro incl. breakfast for a single room. 102 Euro incl. breakfast for a double room. Maximum 2 children till 16 years can remain for free in the room. 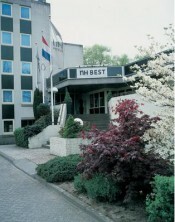 This hotel is near airport Eindhoven. 56 Euro excl. breakfast for a double room. 10.95 Euro for breakfast. 3,50 Euro tax. 95 Euro incl. breakfast for a single room (douche, toilet, radio & TV in room). 115 Euro incl. breakfast for a double room (douche, toilet, radio & TV in room). 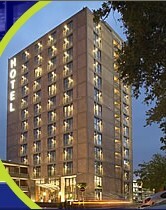 Queen Hotel is situated at the market square in the hart of the city centre of Eindhoven. The central station is two minutes walking distance away. 50 Euro incl. breakfast for a single room. 70 Euro incl. breakfast for a double room. 90 Euro with bath. Copyright © 2018 Groove Unlimited All Rights Reserved.